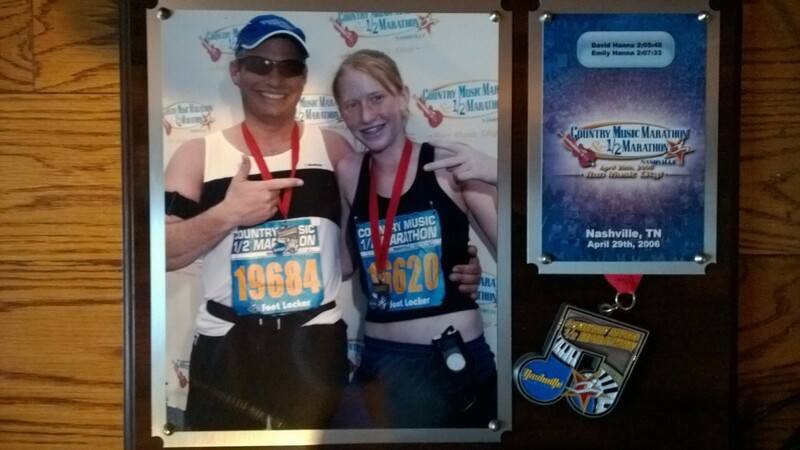 This was Emily’s first Nashville Half Marathon with us! Nashville always has been a tough one but her and David did a great job by coming in 2:05 and 2:07! Emily beat her marathon time in the State to State! As mentioned before, Nashville is a very hilly course to run! 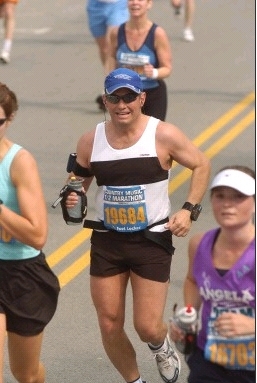 Not a race that you would chose to try and qualify for Boston! It was a beautiful day…a bit hot..but still a great day to run! The two of them took off together (because I made them!). I knew that they both wanted to get good times and I did not want to feel the pressure!!! Seeing father and daughter running together again! 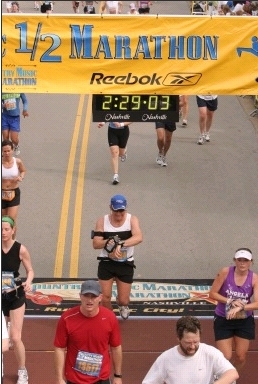 This entry was posted in All Marathons, Family and Running and tagged Family Running, Nashville Country Music Marathon by TwogetherRunners. Bookmark the permalink.